We hope by now you are overflowing with inspiration for your sewing space. But can one ever be too inspired? Today we're taking a tour and getting to know the owner of Style Made Here designed by Anna Maria. A line about feminine elegance designed in an equally elegant studio. Anna told us a bit about her business and then graciously answered our questions. So what better way to introduce Anna than to hear what she has to say about her passion turning into a business? It is very rewarding to be pursuing my passion for design. I am an architecture graduate but designing and sewing is my real passion. I make every item I sell and work with a variety of fabrics and styles. I also work with a lot of bridal wear; working with lace and making custom made accessories is a big part of what I love to do. Although my business is almost a year old , it has grown wonderfully, and I look forward to expanding it in the upcoming years. I’ve always had an interest in fashion. 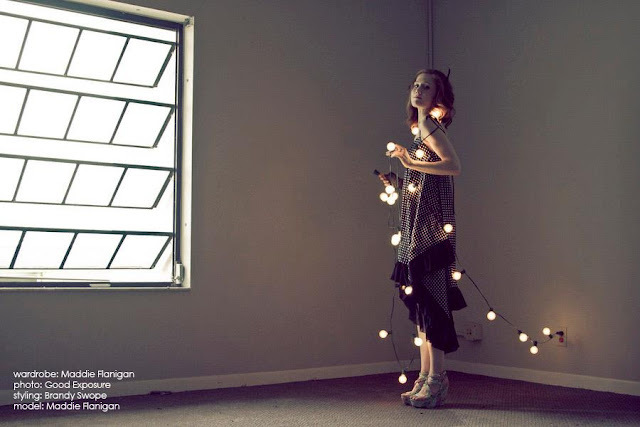 “Girl with a Serious Dream” began after I graduated from architecture school , and came to the realization that fashion design was my deepest passion. I began designing in architecture school and developed the eye for detail through my classes. The initial inspiration came from my own personal wardrobe. I wanted to create a line that I would wear myself. I began sewing about one year ago. Once I finished architecture school (and decided to transition into fashion) I took a fashion design class; I learned to make patterns from scratch and the basics of creating garments. During this time I started to experiment with new ideas: fabrics, notions, and basically anything that would come to mind. I’m a very hands-on person, so even though I was nervous to start from the beginning, through a lot of practice and dedication I began to gain confidence. I read a lot about different sewing techniques in books and sewing blogs, which also helped aide the development of my skills. Although I can’t recall exactly when I made the decision to launch my own line, I remember taking it step by step. Once I knew I wanted to leave my architecture job, I decided to follow this dream and took the first step by enrolling in design classes. From there I began to create pieces and explore the possibilities and soon enough it began to come together. Creating new designs is first and foremost my favorite part of having my own fashion line. Aside from designing, forming and maintaining relationships with my clients is especially gratifying. I love to make custom designs for them; creating something special and unique for them is a fantastic feeling. I would have to say the femininity that women exude. I love the softness and elegance associated with women and I try to portray that side in my clothing. I also try to maintain a sense of the culture I grew up around in my hometown of Lima, Peru. The culture there is so rich and bright—It’s something you just can’t ignore. I also wanted to weave classic elements into my designs; I consider my style to be romantic with an edge, so I use a lot of vintage silhouettes but add on a modern twist. I combine basic shapes with luxurious fabric to create the feel of a vintage item but to also have the comfort level of contemporary outfits. Going along with my affinity for the “feminine,” I love working with lace the best. I also love to work with silks, tulles, and soft jersey fabrics as well. I’m a little bit obsessed with the variety of fabrics available now. 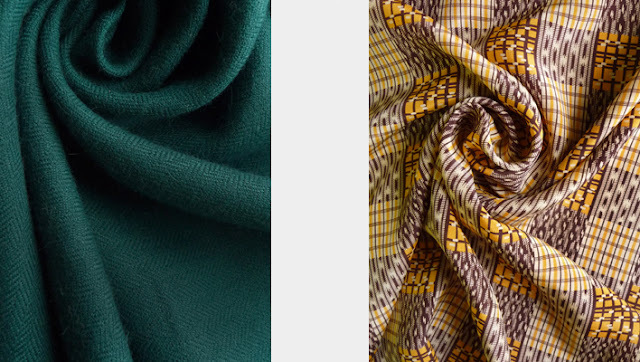 I can spend hours browsing for fabrics online—that is my paradise. As of now, I’m focusing on further developing my brand line by increasing exposure through a fashion blog and having my clothing available not only online, but also in more boutiques. I am continuing to learn new skills and techniques, so as I progress towards my goals, I will hopefully be able to expand to the areas I see fit for my line. Any tips for other inspiring designers? Always follow your dreams and listen to your instincts. Never be afraid to experiment with things you may feel uncomfortable with at first. Incorporate your ideas into your designs, and of course, have fun with it, love what you do! What a beautiful and admirable space and not to mention person! Thank you, Anna for allowing us to show you and your space off! We love seeing your work and spaces. Email us if you would like to be featured on our blog with photos of your work and/or space to fabricmartblog@gmail.com to be considered. 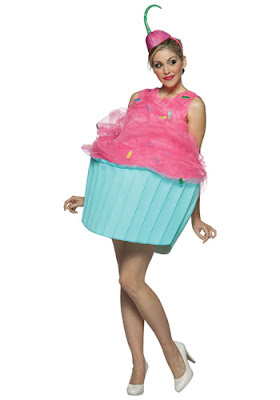 Here are just a few costume ideas to get you thinking. Stay posted for news from Fabric Mart about a special Halloween event! Unfortunately the time to submit photos of your sewing room is over. We hope you got a chance to check out all of the sewing spaces over on our Facebook page! We had a lot of fun looking at everyone's space and wanted to extend a big thank you for your support and kindness. But just because it's over doesn't mean we are done showing you inspiring rooms! 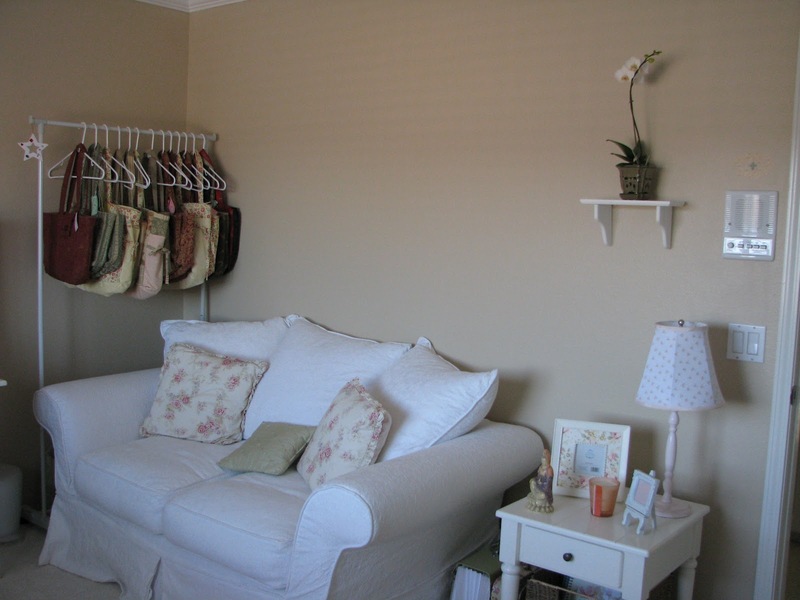 We couldn't resist showing you Holleigh's sewing room! How amazingly clean and organized is this space?! 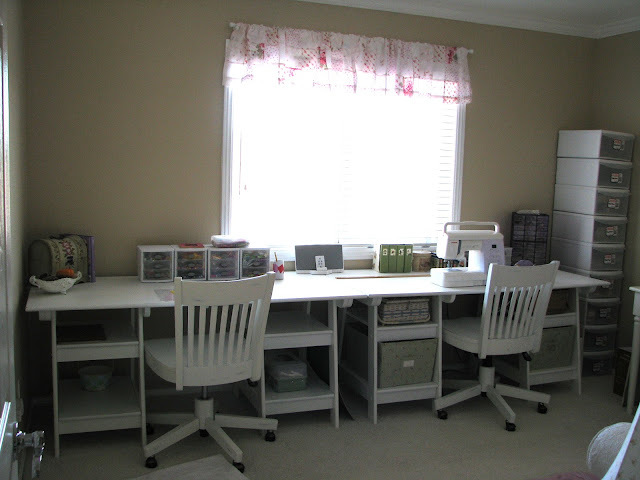 What is your favorite part of your sewing room? The side-by-side tables. One table is for my daughter to do her arts and crafts. Give us an organizational tip: I have baskets and bins that fit perfectly under the tables. I also use fishing lure boxes for small trinkets like buttons. What was the inspiration for your sewing space? I wanted an area where I could sew, and my daughter could do crafts or relax. 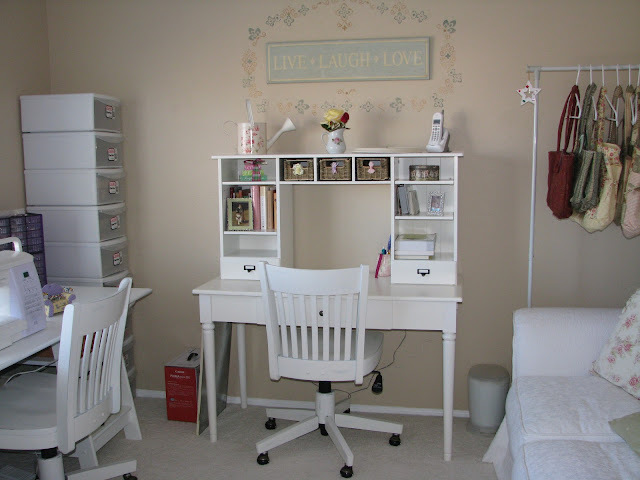 How much time do you spend in your sewing room? Not much anymore! I started sewing when I was a pregnant housewife. 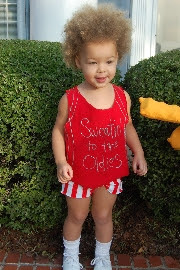 After the birth of my daughter, and going back to work about 4 years ago I have had less and less time to sew. Just having the room, though, and having a place to keep all my favorite things makes me happy. I think we all need a space that reflects who we are and what we love. Where do you get your inspiration for your projects? I love purses that are made of beautiful fabrics and look for them on-line. There was a lady in Canada who sold purses on Ebay about 9 years ago and she was my first inspiration. 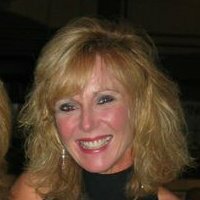 My sister-in-law was also a huge inspiration. What inspired you to put a beautiful couch in your sewing room? Wanting a comfortable area where my daughter could hang out. There's also a bookshelf in the room filled with all my favorite books and so the couch provides a peaceful place where I can read. Fall is just around the corner and it's time to work on your fall wardrobe. Being a buyer at Fabric Mart, I need to know what's going on in fashion and what colors are popular. So in a series of posts, you will find out what colors are in and what we have in those colors, fall fashion trends from the runway that are similar to fabrics we have and fashion patterns that go well with trends of the season. The colors of the season are bright and cheerful to pick up our mood but soft enough that they are not overbearing. Tangerine Tango is still prominent as the color of the year. If you were to pair any of these colors with it, they somehow "work" together to make an interesting outfit for every person. Try a Tangerine Tango blouse with a French Roast pant for a more traditional color coordinate or an Ultramarine Green dress with a Tangerine Tango necklace for a tribal look that carries over from spring. The soft hues immediately bring a sense of serenity by just looking at them. I can see sweet blouses in chiffons and charmeuses in these soft, serene colors. So what does Fabric Mart have that fall into these colors? Please note: Colors are not exactly what you see in Pantone. I am selecting fabrics that are SIMILAR to the Pantone colors you see above. Our color names also do not match those of Pantone. Now stop reading and order them now!! I don't want you to miss out on these fun fall fabrics! 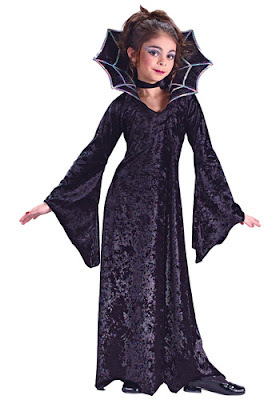 When selecting fabric for the website, I have to think about what a customer might do with it. Sounds easy right? Not always. 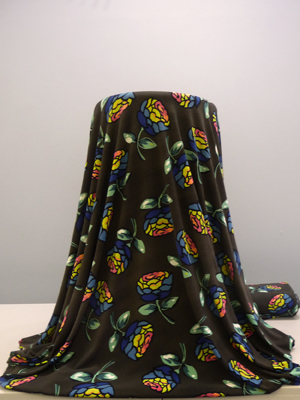 I might really like a print, but the quality of the fabric might not be there. Or the fabric feels beautiful, but the mix of colors are very...blah! I also know that sometimes a fabric can be really cool but tricky to sell unless you give the customer an idea on how to use it. I'm addicted to the drapey-front cardigans that are very trendy right now. They are so comfortable and versatile. The pattern I used is the Abby Cardi from StyleARC.com. This is something else I'm addicted to! (We will talk about this in another blog post!) The pattern is super easy. It only took 2 hours from cutting to finishing. So what else can you make with these knits? Dresses, skirts, loungewear, tops and more! 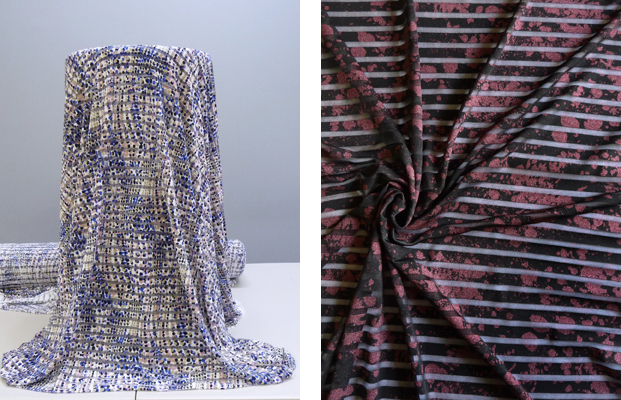 For some of these options you will have to line the garment, but show off these fun prints in your next project! Maddie's on the blog today! 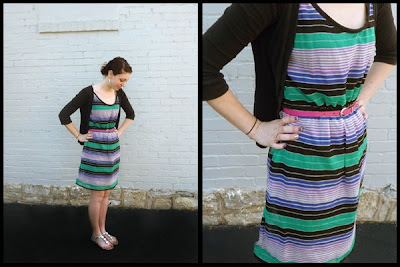 She has a wonderful sewing blog that must be bookmarked in your resource library right now! Following our post on how silk is made by Gabby, we asked Maddie to help us on how to actually sew this beautiful fabric. Which if you have ever attempted, you know it can be a real hot mess! Try her tips below, and if you have any questions please comment on this post or send us an email. We would love to help you get answers. Hi, my name is Maddie Flanigan and I am the blogger behind Madalynne, the cool sewing and pattern making blog. If Steve McQueen was the “King of Cool,” then Madalynne is the “Queen of Cool.” My blog covers everything from how to draft a sloper to interviews with independent pattern makers/designers and what projects I’m working on. For the past two and a half years, my day job has been in the technical design department for a very large fashion company in Philadelphia. A couple of months ago, this company took note of my personal blog and asked me to start an Internet blog that would create a cohesive voice for all their brands. Cool, right? I consider myself one lucky gal to be able to do what I love both day and night (blog and sew), not to mention I receive a stellar discount off some really fancy clothes. 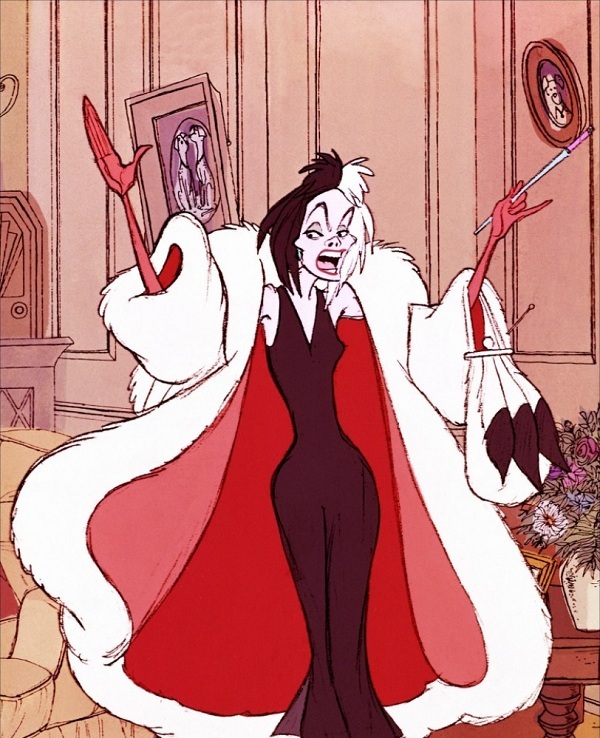 Enough about me though, let’s talk about silk. Silk can be a disaster or a beauty. It can be sinuous and smooth or pucker like no other. It’s all up to you and how much TLC you give the fabric. 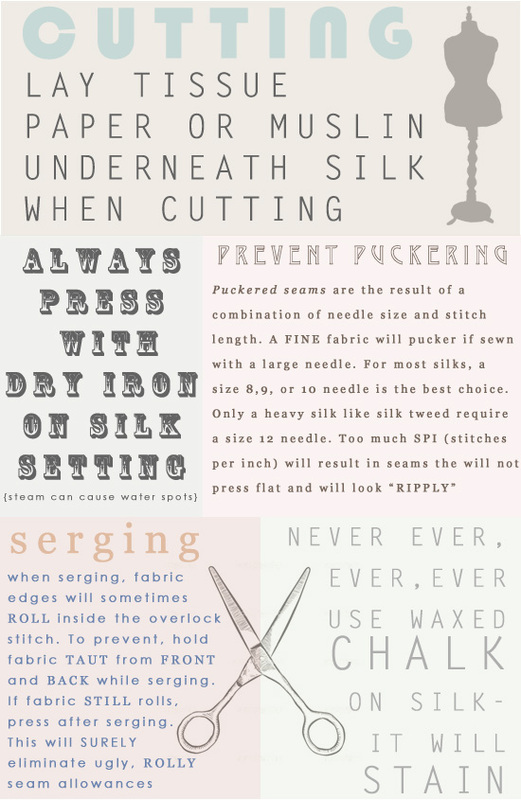 Below, I have listed my tips on handling and sewing silk. Each point is super important but the most important thing to remember when sewing silk is patience. If you find yourself impatient or rushing at any point, step back, take a break or sleep on it, and come back to the project. Silk needs time and care and when you give it, you’re project will be epic. Maddie is a big fan of using muslin underneath her silk when cutting out her pattern. She pins right onto the muslin so it prevents the silk from slipping around while she's cutting. We sell muslin too! So the next time you order silk, think about adding a few yards of muslin to your order. We suggest using your cut out muslin pieces as a sample run of the garment you will be making prior to sewing on your actual fabric to check sizing and prevent as many expensive mistakes as possible. Silk is not as daunting as before now, right? We hope so! Give it a try! Have you ever been on the phone with a business and wondered what the person on the other side looks like? Well now you're going to find out! Here we are featuring Chris and Lisa--- the two ladies that answer the phones, process your orders and get them ready to ship out the door. They do a wide variety of different things to make the business run smoothly. Below we've listed just a short list of tasks! Chris is the General Manager of Fabric Mart. Chris schedules the fabric cutters, answers questions that employees have as well as customer questions, processes your fabric order and gets it out the door. Lisa is the accountant of Fabric Mart. When Lisa is not balancing the bank account, she is processing wholesale orders, answering customer questions and helps Chris process website orders. So the next time you call Fabric Mart and Lisa or Chris answer the phone, thank them for all they do. They have a lot of patience to help the customers and manage the employees. Learn more about Chris and Lisa in the personal interview! How long have you worked at Fabric Mart? Lisa: On and off for most of my life. (Lisa's dad is a co-owner of FM). I have worked here full-time for 1 1/2 years. Describe a typical day at Fabric Mart? Chris: Cleaning off my desk. If you were stranded on a desert island, who from Fabric Mart, would you take? 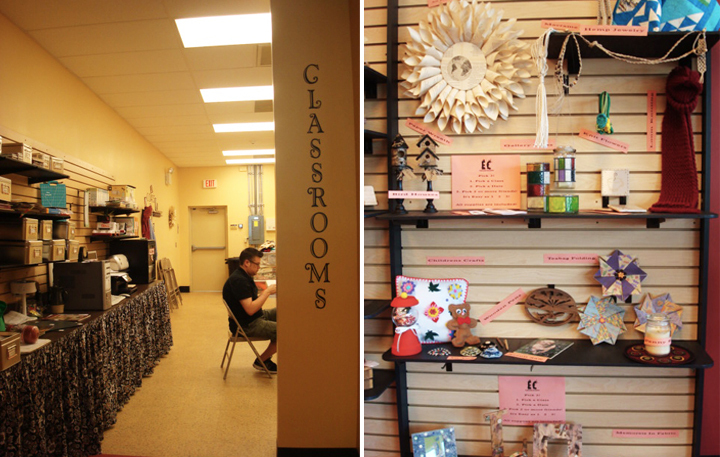 Looking for a place to sell your crafts or perhaps learn a few new skills? If you said, aren't we all? You might want to visit Experience Creativity. 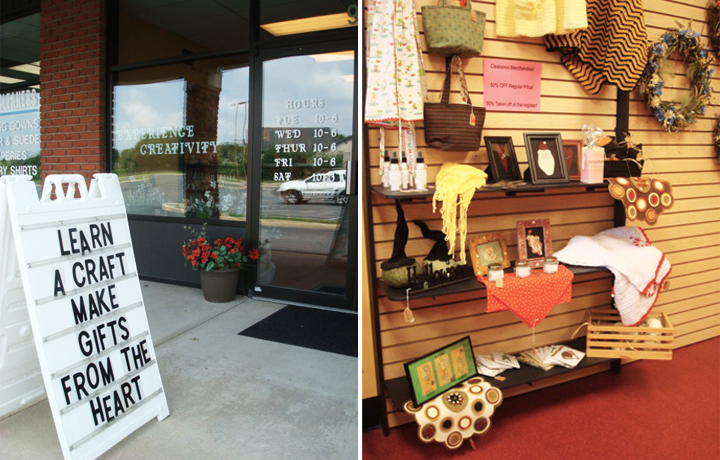 Experience Creativity is a place for crafters and shoppers looking for special pieces that is located in Lebanon, PA, just 45 mins from Fabric Mart. At EC you can sell your handmade crafts with no commission, only a monthly fee determined by the size of the space you choose to rent. Yep, it's that easy. You bring in your goods, pay for your space, and collect the check at the end of the month. Experience Creativity is a great place to find one of a kind gifts for your loved ones. 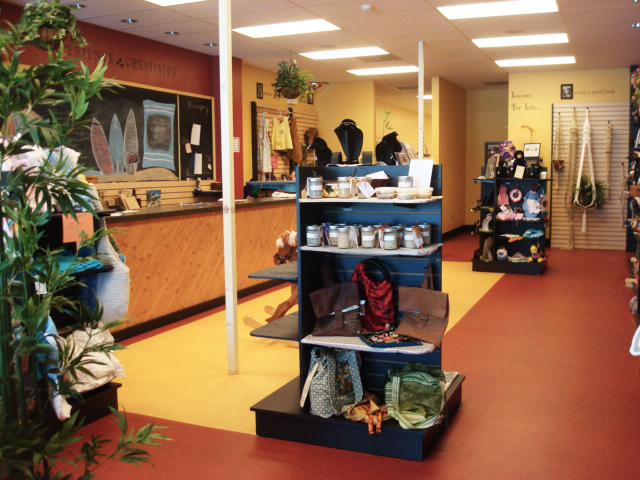 They have a number of items to offer ranging from handbags to wood crafts to homemade soap and salt scrubs. 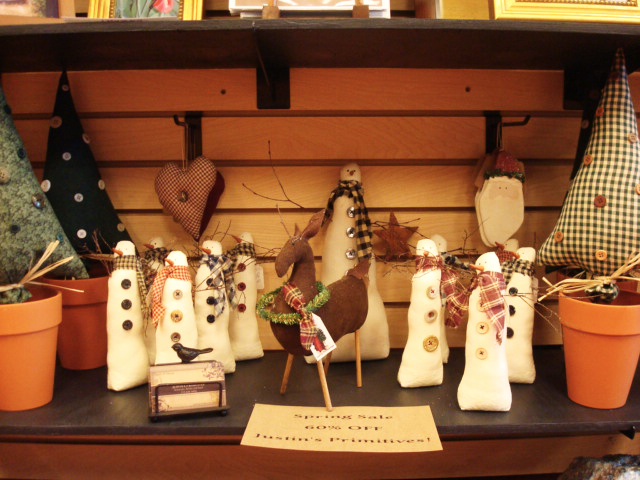 The best part is everything is handmade by local crafters! Aren't these little primitives adorable! 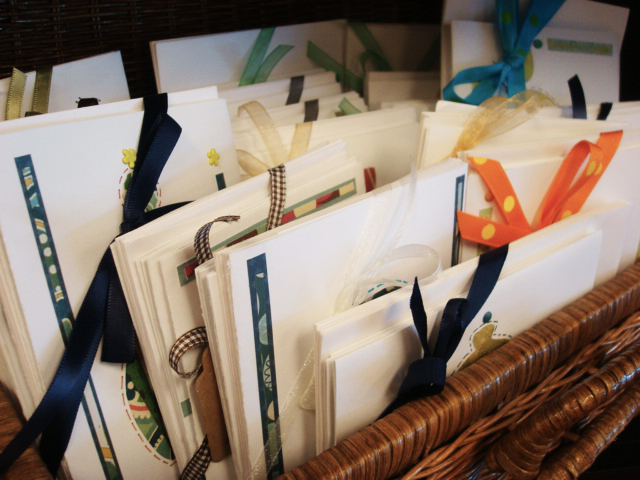 They even sell sets of kaleidoscope folded-paper greeting cards which make a perfect addition to any gift! 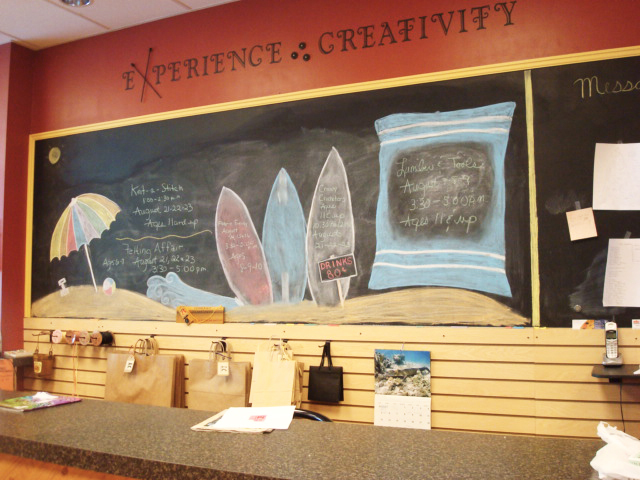 Experience Creativity is not just a gift shop! They also teach group classes and individual lessons. On the right are the crafts they taught in August. Visit to see what crafts they will make next! They even host parties! 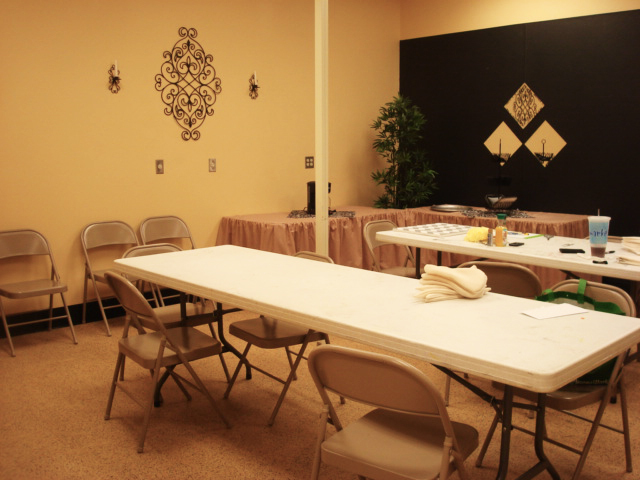 This is the party and classroom space. How about a ladies' night out where you can eat and craft? Or a birthday party for your children where they will decorate for you? So what are you waiting for? 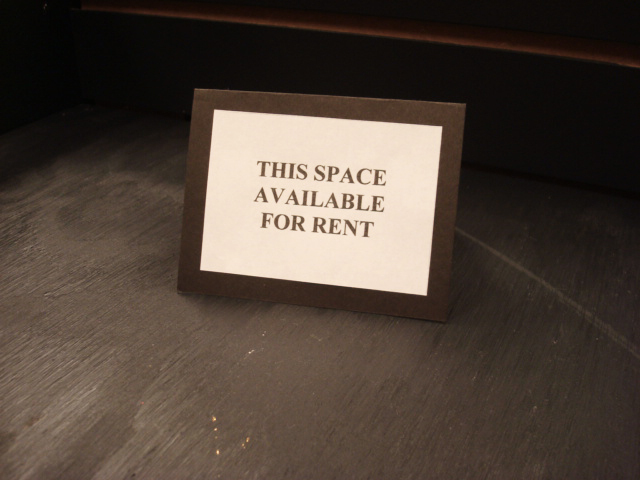 This could be your space! P.S. 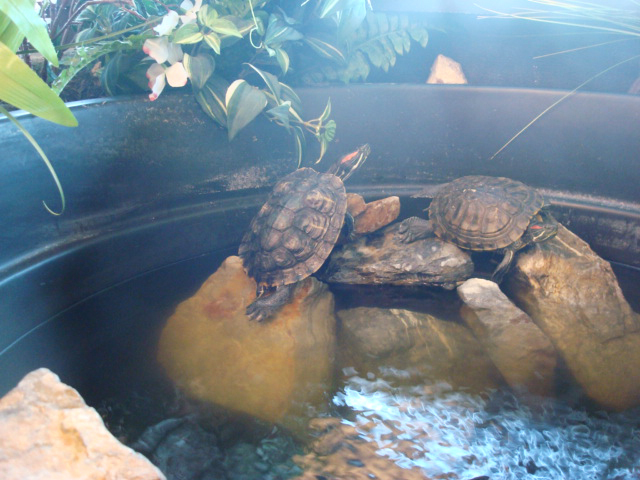 Don't forget to say hello to Herbie and Penelope when you stop in! Having a back pocket full of resources is a necessity when you're on a sewing adventure. or are just looking for new knowledge or projects. Sew News is one of my favorite resources. but a website that shows you projects and sewing tips. 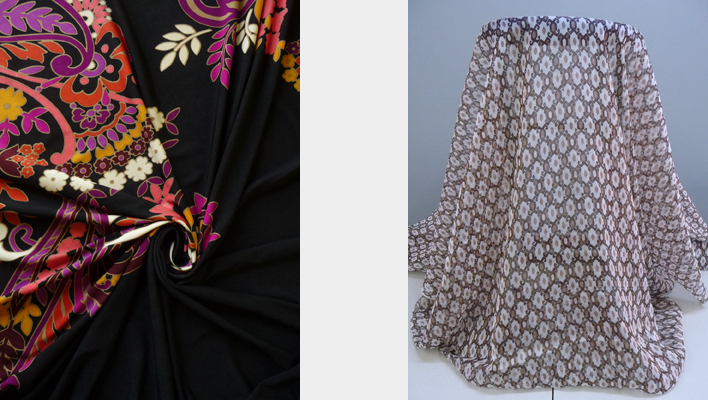 Pattern Review is a great place to chat and ask questions about anything sewing. Other sewers will respond and give you insight on sewing techniques, fabrics, and reviews on patterns, machines, and stores. little tidbits along the way. She recently published a book which should be added to your library asap! A Beautiful Mess has tutorials, recipes, ecourses, and they even offer business advice. Their site can be awfully addicting! by the owner of a successful small business. Do you frequent another site not listed here for help? Share it with us! Just comment the link to your favorite source on this post.